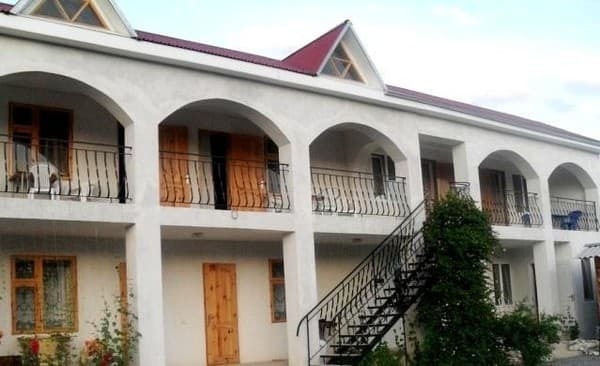 Guest house "U Eli" is located in the resort town of Sudak, a 10-minute walk from the sea. 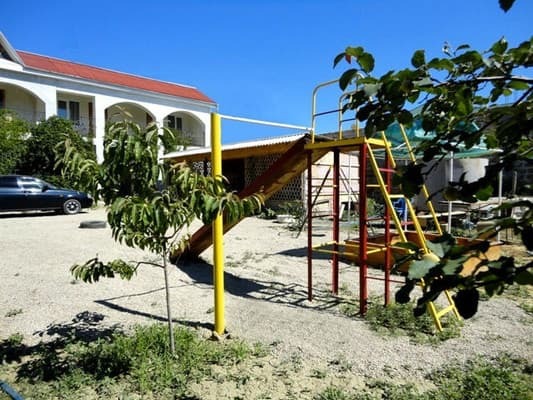 On the territory of the hotel there is a green gazebo with a tapchan, a playground for children, a common balcony with chairs and tables, and a BBQ barbecue. There are 7 rooms in the guest house - 4 rooms on the second floor and 3 rooms on the first floor. In the courtyard there is a free car park. Free Wi-Fi is also available. 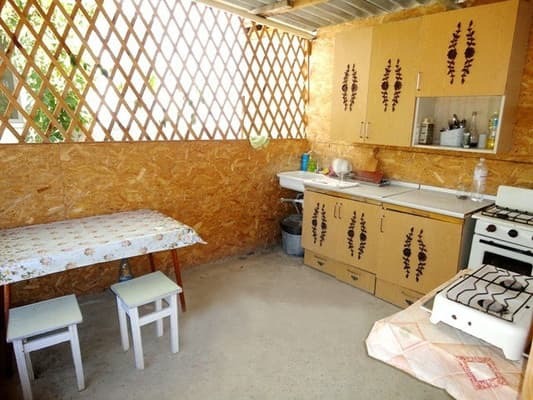 In addition, the guest house has a kitchen with everything necessary for self-cooking. PRICES MAY CHANGE, IT IS REQUIRED TO RECEIVE INFORMATION FROM THE OPERATOR. 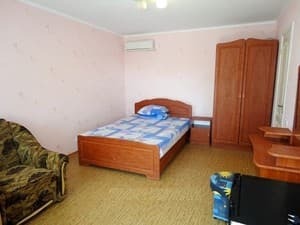 Description of the room: In each room: bathroom with shower, double bed, folding armchair-bed, refrigerator, TV, air conditioning, wardrobe, bedside table. The room can accommodate up to 4-6 people for extra. places by agreement. Description of the room: In the room: bathroom with shower, double bed, pull-out armchair-bed, refrigerator, TV, air conditioning, wardrobe, bedside table, kitchen. Additional places are available upon agreement. 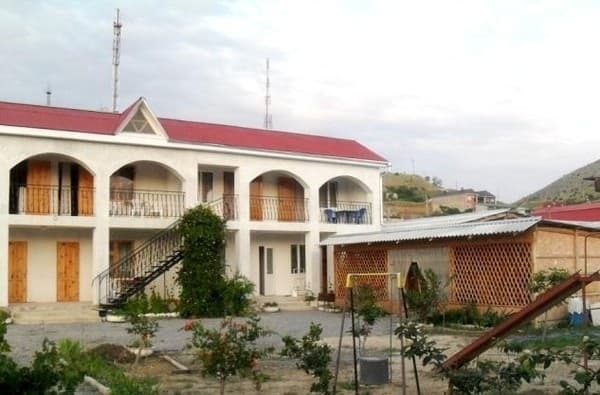 Guest house near Eli is located in the resort town of Sudak in a 10-minute walk from the sea, 20 minutes walk to the city center, 50 meters from the store.